Its time to wave goodbye to 2016 and welcome a brand new year. New year is less than two weeks away and i cannot be more excited to see what 2017 has in store for me. 2016 has been such a memorable year for me for a lot of reasons and I’d say it was one roller coaster ride. So here i am writing the last post for the year. 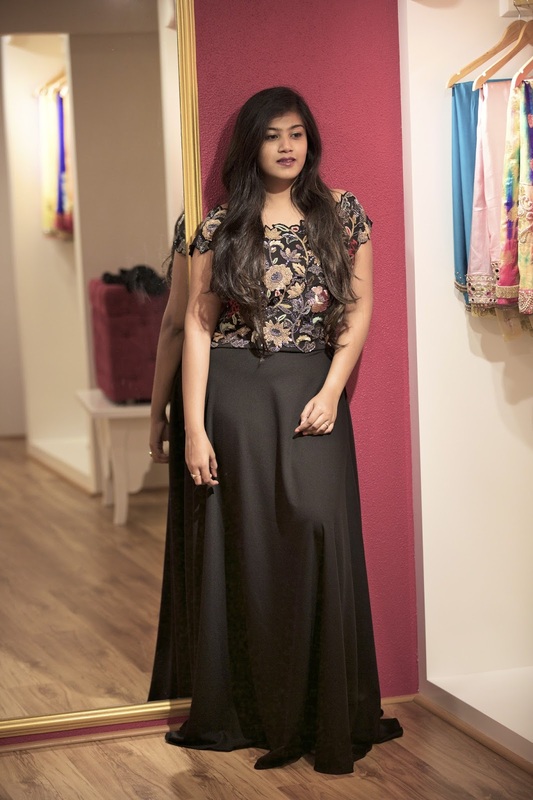 Now let’s get to the outfit, This beautiful dress from the Sionnah store Chennai. 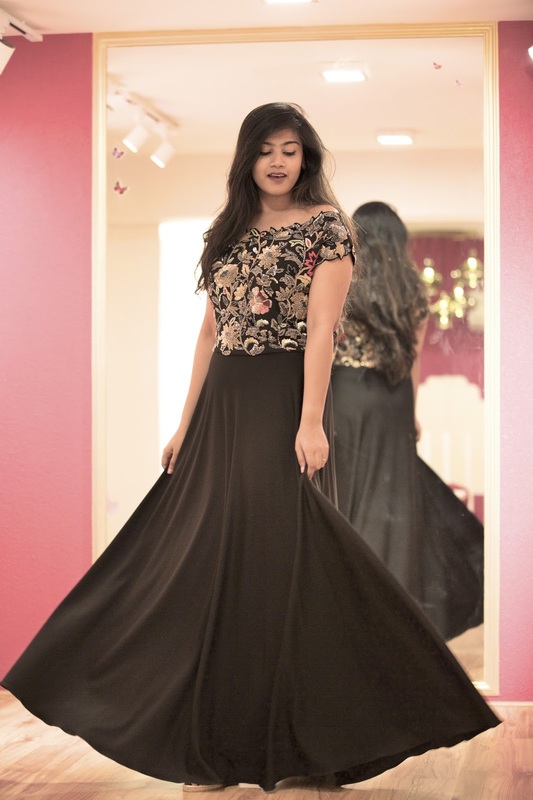 Now you would see that my previous two posts have been about trousseau wear, this one is for a cocktail party or a post wedding party/function. coming to the dress, it is one gorgeous dress that i would wear for any given occasion. The detailing is something that i fell for. 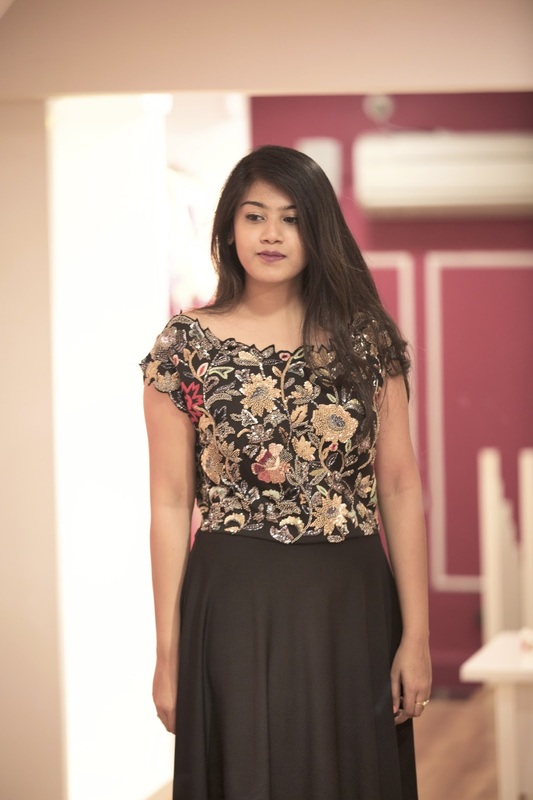 The dress has rich gold shades, intricate embroidery and gold beading which gives a metallic punch to the whole attire. the dress fits like a dream and is very comfortable. I absolutely love the simplicity of it. It gives a modern and retro vibe which i completely love.The dress is simple yet striking and you can definitely make eyes turn. It was such a fun experience working with Sionnah and you guys should definitely check out their collection.